But I get it. It’s early. You’re grumpy. Five minutes of breakfast means five fewer minutes of sleep. Modern life has trade-offs. But don’t skip breakfast because you don’t know where to go. 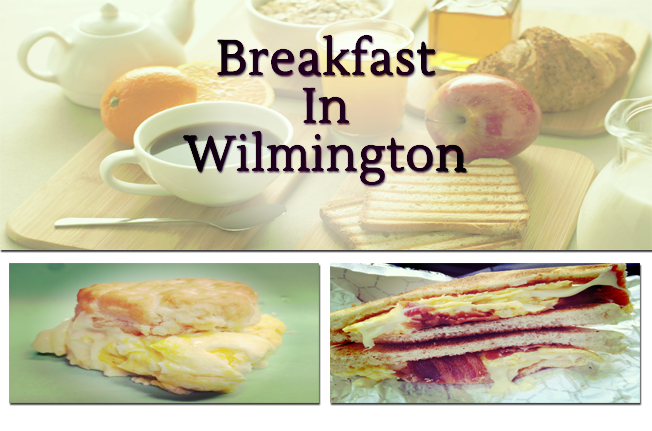 If you’re in Wilmington for business, I’ve got a few suggestions on where you can grab a bite – on the quick – before hitting the office. But first, I pause for this Very Important Note: We need to talk about scrapple. So are you still with me after “semi-solid congealed loaf?” If so, you might be the kind of person who would enjoy scrapple, an often-delicious-but-definitely-cut-from-a-congealed-loaf breakfast item made from the head, hearts and livers of pigs, along with a selection of spices that vary from brand to brand. People around here like scrapple so much, they host festivals in its honor. They make sandwiches out of it at the state fair. They have – and I swear this is true – an annual competitions in which local politicians line up to see how far they can throw it. And other people around here think it’s kinda gross, even when it’s not airborne. 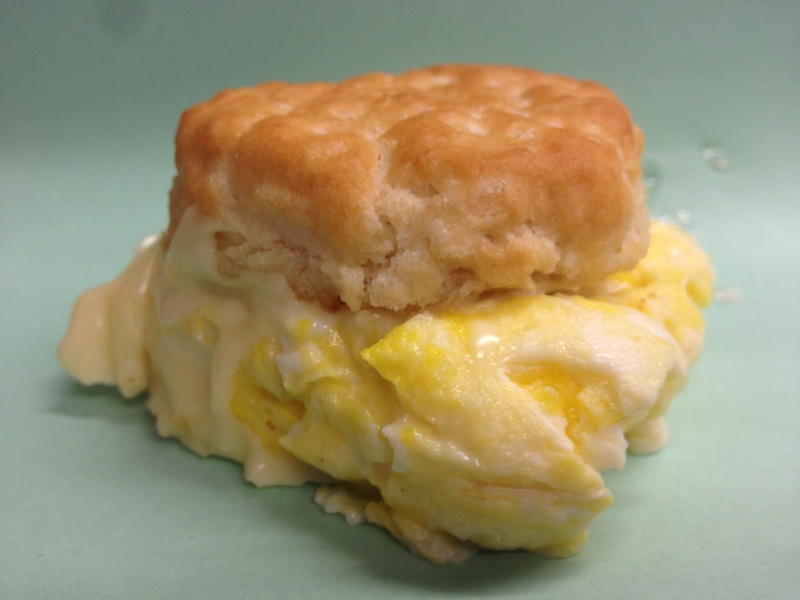 If I were you, I’d try it – maybe not on a breakfast sandwich (that’s a commitment), but as a side, sure. Make sure you ask for it crispy. Not one like floppy scrapple. Extra: Something else you might see on local menus is “Taylor ham,” also known as “pork roll.” It’s not an indigenous breakfast meat, but an invasive species brought here by New Jersey ex-pats from their “diners” up north. Think of it as the love child of Canadian bacon and bologna. And it’s delicious on a breakfast sandwich. 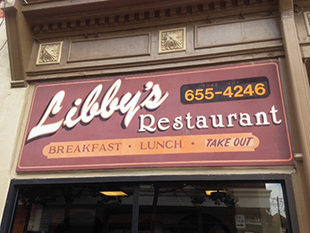 If you’re looking for an old-school diner joint, you’re looking for either the Kozy Korner Restaurant or Libby’s Restaurant. Both are the kinds of places where presidential wannabes would show up to shakes hands and kiss babies if Wilmington was located in Iowa. (Joe Biden might be at either spot at any time, shaking hands and/or kissing babies, because, hey, Biden.) Both offer good, unpretentious food, along with someone sitting in a corner reading the local paper (not on a iPad, never on an iPad) and commenting about how something is stupid. Bring cash to both. You won’t need much. 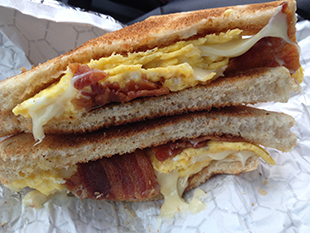 The backstage crew at The Grand Opera House swear by the breakfast sandwiches coming out of Olympic Subs & Steaks right across the street, and well they should. Nothing fancy, but cooked up hot and fresh, along with plenty of seating if you’re meeting someone. 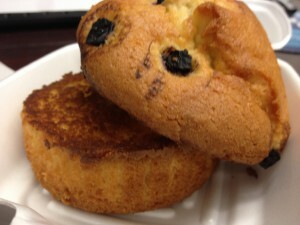 I ordered a blueberry muffin this morning at Benjamin’s on 10th. If you’re working over by the courthouse, check out Sub City for a decent, cheap breakfast platter. It ain’t fancy, but it gets the job done.